There is something about a home with thick walls that just feels right, feels sheltering, feels like safety and comfort. I’ve noticed this whenever I’ve stepped into my friend’s log home in McCall or another friend’s straw bale house in Bend. Somehow the body notices that the door jambs are several inches wide and the skin between outside and inside is more than paper thin. There is a sense of having entered someplace solid and quiet. I wonder if some of the sense of contemplation evoked by Europe’s old stone cathedrals comes at least in part from the thickness of their walls. This stands in stark contrast to the framed houses we in the American West live in. Here in Idaho, most of the homes built more than two years ago had walls that measured right at four and a half inches inside to outside. Current energy code pushed those walls to six and a half inches thick. The extra beef to these walls not only enhances our body’s sense of comfort and shelter, it reduces heating and cooling costs dramatically. Thicker walls means more insulation which means less energy use which means more money in our pockets each month. Reduced consumption of fossil fuels also helps us slow the advance of global warming. No wonder thicker walls feel better to our soul. But if most of our homes were built prior to two years ago, then most of us are still living the thin wall life. A colleague calls these homes “glorified tents.” Sarah Susanka, of Not-So-Big fame, calls them “sheetrock barns.” Yet this is what we have, where we are. Most of us only dreamed of buying a custom new uber-green home even before the “market correction.” Now we are even more solidly held to the home we owned pre-crash. So the challenge for us, if we lust after thick walls, is to figure out how to add girth to our current homes. The ideal wall for our climate should have an R-value of 40, which, with average insulation values, means a ten inch thick wall. Common sense dictates that there are only two ways to thicken the wall of an existing house; make it thicker to the inside or thicker to the outside. When we (I work for a company called Green Remodeling) are working on a home that needs extensive repair or renovation to the interior walls and has generous room layouts, we’ll recommend adding another wall to the inside of the existing wall, thickening the whole and adding extra insulation. More frequently, when dealing with a home that needs new siding, we’ll wrap the home in two to three inches of foam insulation, increasing not only the insulation value of the home but also it’s air-tightness. *Josh Bogle is a NARI Green Certified Professional, an Idaho Energy Star Builder, and the founder of Green Remodeling. In 2008, a home he remodeled received an Idaho Smart Growth “Grow Smart” award. This month, Green Remodeling completed a home project that was the second most airtight Momentum (Energy Star certifier) has tested, and the highest for a remodel. 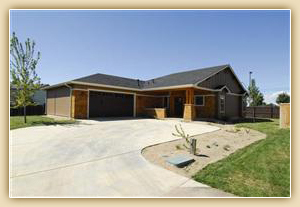 August 26, 2010 (Boise, ID) – A home built by students in the Boise School District recently earned the unique distinction as being the very first student-built home in the nation to receive LEED Gold by the U.S. Green Building Council (USGBC). 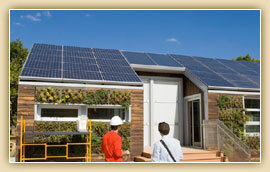 The award recognizes achievement in green home building. The home was built by students enrolled in the Boise School District’s Construction/Trades program which is offered through the District’s Dennis Technical Education Center. The home is located at 1627 S. Watersilk Place in Boise and is one of approximately 30 local homes that have been certified in Idaho using LEED. LEED, which stands for Leadership in Energy & Environmental Design, is an internationally recognized green building certification system, providing third-party verification that a building or community was designed and built using strategies intended to improve performance in metrics such as energy savings, water efficiency, CO2 emissions reduction, improved indoor environmental quality, and stewardship of resources and sensitivity to their impacts. Green homes have substantially lower utility bills and may qualify for advantageous financing, lower insurance rates and government incentives. Located just off of Boise’s Overland Road between Maple Grove and 5 Mile, 1627 S Watersilk Place is in a vibrant location near shops and other conveniences. The home focused heavily on reducing energy use and achieving healthier indoor air quality. The three-bedroom project features low-e windows, high efficiency lighting fixtures, and ENERGY STAR appliances, windows and lighting. Other energy efficiency upgrades include compact plumbing design, programmable thermostats, a high efficiency gas furnace and air conditioner, as well as mechanical ventilation for fresh air. The diligent air sealing on this home resulted in a blower door performance test result of only 2.1 ACH (air changes per hour) @ 50 pascals. Water conservation was emphasized through drought-tolerant, native plants as well as high-efficiency irrigation and indoor plumbing fixtures. The home project also taught students to apply advanced framing techniques and radon resistant construction methods. LEED-certified homes complete a technically rigorous process that includes a home energy (HERS) rating and onsite inspections to verify that the home is built to be energy and water efficient, environmentally sound, and a healthier place to live. Low VOC (volatile organic compounds) paint, rapidly renewable wool carpet, and Cradle-to-Cradle certified Icestone countertops were also used to protect the health of the students, future residents and our planet. As a result of incorporating energy saving products and technologies, 1627 S Watersilk Place has achieved a 60 HERS score. (Homes must achieve a minimum score of 85 – on a 100 point scale -- to be deemed “ENERGY STAR” qualified). Next year, the students aim to achieve LEED Platinum, the highest level of certification. The U.S. Green Building Council is a nonprofit membership organization whose vision is a sustainable built environment within a generation. Its membership includes corporations, builders, universities, government agencies, and other nonprofit organizations. Since UGSBC’s founding in 1993, the Council has grown to more than 18,000 member companies and organizations, a comprehensive family of LEED® green building rating systems, an expansive educational offering, the industry’s popular Greenbuild International Conference and Expo (www.greenbuildexpo.org), and a network of 77 local chapters, affiliates, and organizing groups. For more information, visit www.usgbc.org or www.usgbcidaho.org. LEED® for Homes is a third-party certification system for high-performance green homes. Developed and administered by USGBC, LEED for Homes awards points to projects in seven categories of environmental performance: Location & Linkages, Sustainable Sites, Water Efficiency, Indoor Environmental Quality, Energy & Atmosphere, Homeowner Awareness, and Innovation and Design. To date, more than 6,500 homes have been LEED-certified, and over 25,000 have been registered and are under development. For more information, visit www.thegreenhomeguide.org. Boise School District is a nationally recognized educational system that is on the leading edge of education. Serving approximately 25,000 students, the District offers a wide variety of programs from the nationally known Dennis Technical Education Center and Treasure Valley Mathematics and Science Center, to its four traditional high schools that all have been ranked by Newsweek magazine as being among America’s best high schools. Further information about Boise School District, its programs, and how to enroll can be found online at www.boiseschools.org. Leading a sustainable lifestyle means more than buying squiggly light bulbs, eating local and organic food, and using cloth grocery bags. It is about adjusting our lifestyles to improve and better understand ourselves, our communities, and our planet. By buying local produce, we support our local farmers, build relationships within our community and help grow our local economy. We also reduce the carbon footprint of our food and save precious fossil fuels. Sustainable food systems use nature as their model to grow food. They let nature do the work. By pairing plants that coexist, a term known as intercropping, organic food systems build healthy soils. They do not require pesticides or fertilizers which kill the soil and contaminate our water table. By buying produce and goods that are organic, you insure that the food you eat is not coated in pesticides or contains chemical preservatives. 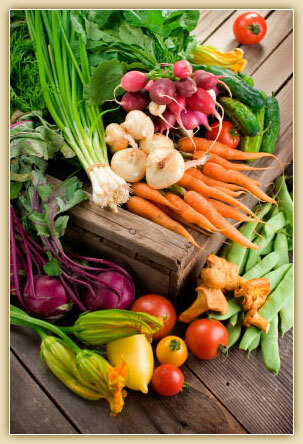 Organic foods also do not contain preservatives, so they break down faster in your body, giving you more energy. By buying items like chocolate, coffee and sugar that certified to be fair trade, we support small farmers, instead of corporations who exploit farmers. When we give support to the people who grow our food, we insure that the product will be available year after year. By buying clothes and goods that are made in the USA, we can be sure the workers have fair conditions and our money will be boosting our domestic economy. This is possibly one of the most sustainable steps we can take. Purchasing goods at second hand stores and thrift stores gives new life to old goods. It saves items from our landfills, supports charities, and reduces the carbon footprint of our goods. With each item you buy, ask yourself: “Who and what am I supporting?” By knowing who and what we support with our money, we can better grow a sustainable economy. Scott Flynn of Flynner homes is a builder who is dedicated to building certified green homes that not only protect the health of the environment, but the health of his homeowners and their pocketbooks. He is also the first builder in Idaho to build a 'Gold Level' certified green home under the NAHB National Green Building Program. Flynner Homes was selected to build this years St. Jude's Dream home which will be the first certified net-zero energy home in Boise. Scott, along with NORTHWEST ENERGY STAR and Idaho Power, broke ground for the 2010 St. Jude Dream Home house in Boise on Tuesday, Dec. 1. This home, which is being built for the St. Jude Dream Home Giveaway benefitting St Jude Children's Research Hospital, is the first Certified Net-Zero Energy house in Idaho. The home will be built, donated and raffled off as a fundraiser for St. Jude Children's Hospital, and it will also be among the nation's most energy-efficient homes ever built - the first Certified Net-Zero Home within Idaho. And for the price of a $100 ticket, one person will own a home equipped with the latest energy-efficiency elements in construction- a home that will actually generate as much energy as it uses, delivering on the "net zero" concept of no overall energy consumption and eliminating utility bills for the future homeowner. The house is located in the Willowgreens community and is valued at approximately $440,000. Tickets for the St. Jude Dream Home Giveaway will be available beginning April 1, 2010. Tickets will be available throughout the Treasure Valley area at Zamzows and Pioneer Title Co. locations. Boise State Radio launches "The Green Room" at 6 p.m. Friday, Feb. 5. The six-week series will feature 30 minutes of interviews with visionaries in the community who are integrating environmentally sustainable practices into their daily lives. Lindsay Schramm talks about her business, Sustainable Growth. The organic lawn-care company makes biodiesel that is then used to make soap. This launched Schramm’s newest venture, the Boise Soap Company. Lisa Scales discusses Sustainable Futures. The non-profit company takes women from the Department of Corrections and not only teaches them how to make glassware out of used wine bottles, but also works on their self-image, work ethic and social skills. Dave Krick discusses the journey of restaurant ownership and his quest to take his restaurants off the grid. "The Green Room" will talk to homebuilders, nutrition experts and people who are changing the way big business treats the environment right in your backyard. "The Green Room" is hosted by Jodi Peterson. Peterson attended Boston University where she studied communication and sociology. She specializes in working with non-profits to help them create events and partnerships to brand their messages and raise funds for their causes. In the past few years, Peterson has become involved with the green and sustainable community emerging in Idaho. A former reporter for a monthly green television program called "Project Green", she is the marketing director for GreenWorks Idaho and the Idaho Green Expo. Through her work she has gotten to hear the stories of many pioneers of the green movement. She created "The Green Room" to tell the stories of green movement pioneers and inspire others to find their own ways to be more sustainable. "The Green Room" airs on KBSX 91.5 FM Fridays at 6 p.m. and Sundays at 8 p.m. Look for it on the Web at radio.boisestate.edu/greenroom. A Democrat from California declaring public lands off-limits to solar developers? Who would have "thunk" it ? But that is exactly what happened earlier this month when California Senator Dianne Feinstein introduced legislation in Congress to protect large swaths of the Mojave Desert from being covered with thousands of solar panels. As a budding solar power developer located in prime solar territory covering SW Idaho, I dare say I support the recent actions of Senator Feinstein. The proposed legislation would take more than a million acres of pristine land in the Mojave Desert off the table for large commercial solar power development. That being said, you now have to throw a bone back to the solar developers in this country. We could do that by clearing the way for much easier access to rooftops and brownfield sites across the USA. Living here in Idaho where we are yet to see our first commercial MW (megawatt) size solar farm developed, we need to take a serious and analytical look at our smartest options before we rush out and cover our deserts with PV panels. This is true not only here in Idaho or in California, but across the entire country. Many Americans want a new direction in energy policy, but at the same time many are afraid of what our country may look like 20-30 years from now with massive wind and solar projects dominating the landscape. It doesn't need to be this way. Yes, California has set an aggressive and noble agenda to offset much of its power needs with renewable energy. But we need to take a step back in California and throughout the rest of the country and make good solid rationale decisions as we embark on this massive "Green Energy Revolution" sweeping the country. Public and private debate is important and should continue, albeit with a solid commitment to move forward toward a sustainable and clean energy policy. According to the 2008 US Census Data, the combined residential and commercial rooftop space in this country alone could account for over 200 Billion square feet of surface area for solar power installations. Assuming that 25% of this would be prime space with unobstructed access, we could generate at least 50,000 MW of clean and sustainable solar power! And the usual battle for transmission and distribution lines could be avoided as rooftops generally are already well connected to the electrical grid. We also have thousands of "brownfield" sites in this country, including many right here in Idaho that could be used for solar generating projects. Closed landfills, abandoned mines, empty buildings and old decommissioned chemical plants dot our landscape. Take the 300 acre former landfill in Houston, TX that was chosen by the EPA in 2008 for a brownfield development pilot project. It promoted solar power as a good solution and as an example of the direction we should be headed with our clean energy focus in this country. Sure it's easy to pinpoint on a map where the "hot spots" are for solar or wind power and then go and build these much needed clean energy plants. But left unchecked, we may find ourselves years from now struggling to see the forest through the millions of solar panels and wind turbines that will have grown from the soil. We as concerned Americans have the ability to make smart decisions today on our clean energy future that will last our lifetime and beyond. Written by GreenWorks Board member Jeff Burns of Burns Energy in Boise as a response to the New York Times article linked below. Jeff is also a member of GLG, a business consulting group, www.glgroup.com, and such is asked to comment on certain publications that fall within his line of expertise. Boise School District students aim to construct the nation's first student-built "Green" Certified Home! Boise-based Micron Technology, which has laid off thousands of workers as it reels from a soft microchip market, has snagged $5 million in federal stimulus money from the state to help it move into the LED R&D and manufacturing business. The Idaho Statesman and Idaho Business Review reported this week that Micron secured the check from Gov. Butch Otter and Office of Energy Resources Administrator Paul Kjellander during this week's Idaho Innovation Summit at Boise State University. Micron Vice President of Process Research and Development Scott DeBoer accepted the money, which came from Idaho's share of the federal stimulus grants aimed at energy programs. Micron plans to use the $5 million to convert parts of its Boise campus from the manufacture of dynamic random-access memory chips on wafers to a similar technology used to produce light-emitting diodes, better known as LEDs. These new lighting products are considered vastly more efficient even than the compact fluorescent lights (CFLs) that are quickly replacing old-style incandescent bulbs. 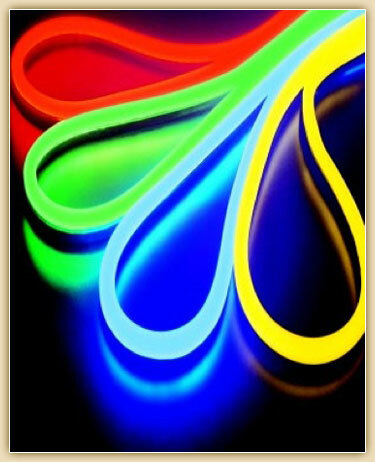 Not only are LEDs more efficient, using a fraction of the energy required by CFLs, they also last far longer. *Thanks to Ken Miller from the Snake River alliance for providing this article. Idaho Power and its parent IDACORP last week told their Board of Directors the state’s largest electric utility plans to reduce greenhouse gas emissions by 10 to 15 percent below 2005 levels during the 2010-2013 timeframe. In a news release and a related filing to the U.S. Securities and Exchange Commission, the company said it intends to comply with the spirit of a May 21 shareholders resolution that calls on the company to plan for reductions in climate-changing greenhouse gas emissions. Idaho Power did not specify how it plans to reach that goal, but said it will rely heavily on maximizing its hydropower production, cloud seeding operations designed to squeeze more water from the skies for the hydro system, a new natural gas-fired power plant, and some renewables such as wind, geothermal and solar. In a related development, Idaho Power’s Integrated Resource Plan Advisory Committee (IRPAC), which is advising the company on its biannual power planning roadmap, was told last week the company will strive to be coal-free by 2029 as it seeks to comply with expected federal climate legislation designed to slash greenhouse emissions. That legislation is still in the formative stages, but for risk-avoidance purposes most utilities are already planning for some kind of carbon-reduction regime as soon as next year. The company’s IRP Advisory Committee is in the process of reviewing possible energy “portfolios” that can help Idaho Power meet its future energy demands through such things as energy efficiency and conservation, new generation resources, and new transmission. That Committee has not been presented with an energy portfolio designed to reduce CO2 emissions on the scale the company claims it will achieve. Company officials said they remain committed to complying with the May shareholder resolution, which called on IDACORP to craft a preliminary plan by the end of September to actually begin reducing greenhouse gas emissions, rather than simply slowing or stabilizing the growth of those emissions. Shareholders who surprisingly gained approval of that resolution say the only way to actually reduce Idaho Power’s CO2 emissions will be for the company to begin weaning itself off the three coal-fired power plant complexes in Wyoming, Nevada, and Oregon that combined provide more than 40 percent of Idaho Power’s generation. In its news release, Idaho Power said it plans to reduce its CO2 emission intensity for the 2010 through 2013 period to a level of 10 percent to 15 percent of its 2005 CO2 emission levels of 1,194 pounds of CO2 per megawatt hour. While Idaho Power is placing a huge emphasis on maximizing its hydropower output in order to meet that goal, the company acknowledges that for much of the past decade or more, hydro conditions have been below average. Continued sub-par water years will pose significant challenges to Idaho Power if it hopes to trim its reliance on its coal fleet. It will also raise the stakes for the company to acquire important amounts of wind, geothermal, and even some solar energy as it strives to reduce its carbon footprint. 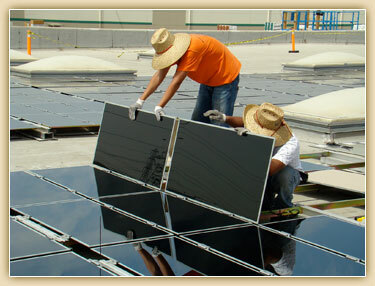 Going green now lowers business risk in the future. When a business calls itself green, what does that mean? The answer may vary from energy-efficient to local or even socially responsible. According to business schools and thought leaders, the definition is boiling down to a new bottom line: the triple bottom line. 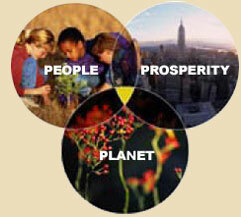 This triad can be described in several ways: people, planet and prosperity; economy, environment and equity; or, economic, ecological and social responsibility. Regardless of terminology, the successful businesses of tomorrow are embracing sustainability as a fundamental element. It should not be separate from business strategy and operations; it is about integrating social and environmental concerns into business strategy and operations. The benefits of a more sustainable approach for a business range from lower operating costs to increased sales, more productive workers, improved brand image and even lower risk. In a comparison of trash and recycling rates for businesses in the City of Boise, a 3 cubic yard recycling dumpster costs $49.60 per month versus $68.31 for the same size trash container. This equates to paying 38% more for trash. Reducing waste in a business has solid economic benefits, conserves resources and preserves land. Energy-efficiency improvements can also lower operating costs as well as qualify for a range of incentives and often have hidden benefits of health, safety and thermal comfort. Leaky ductwork and heating equipment not only wastes significant energy, but can draw contaminants into the indoor air we breathe. Inefficient lighting wastes electricity and produces unwanted heat yet could be qualifying for incentives from Idaho Power. Their “Easy Upgrades” such as light bulbs, fixtures and sensors as well as a wide range of building retrofits can result in payouts of up to $100,000 per year. Combine these incentives with federal ENERGY STAR tax deductions and lower utility costs and the ROI just gets better and better. Walmart and other retailers have found that simply adding daylight in stores increases sales and lowers electricity consumption. The benefits of daylight are further supported by studies such as the 1999 report by the Heschong Mahone Group of the Capistrano school district, which showed that students with the most daylighting in their classrooms progressed 20% faster on math tests and 26% on reading tests. Further reasons to integrate sustainability into business are brand image and lower risk. More and more consumers are making purchase decisions based on the social and environmental responsibility of a business. According to the EcoPulse study released in June of this year by The Shelton Group, 60% of the population says they’re seeking out green products and 66% say they’re either spending more or as much on green products as they were before the economy tanked. 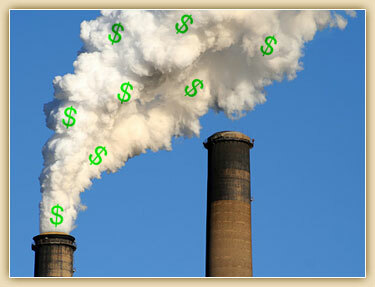 Going green now lowers business risk in the future. Consider the risks of changing carbon regulations, mold, radon and carbon monoxide. Fireman’s Fund was the first insurance company to offer green insurance to commercial policyholders in 2006 and has since expanded their green offerings to hybrid upgrade auto insurance and a 5% discount on yearly premiums for owners of LEED-certified homes. Why offer a discount? One reason is that LEED Certified Homes are required to incorporate indoor moisture control measures into construction. This mitigates risk of mold. According to an April, 2009 article in the Wall street Journal, almost two dozen insurers offer premium credits and discounts for owners of green commercial and residential buildings. In 2007, the United Nations and ICLEI (International Council for Local Environmental Initiatives) ratified the Triple Bottom Line standard for urban and community accounting in the public sector. In the private sector, social and sustainability reporting is becoming commonplace in Europe and with organizations such as HP, Starbucks, McDonald’s, Ford, Intel, Proctor and Gamble, Nike and Pacific Lumber. Locally, citizens are demanding this sort of reporting. In May, Idaho Power shareholders passed a resolution directing the Company to develop a plan for reducing its emissions of greenhouse gasses. Although the resolution was advisory in nature, Company management agreed to be bound by it and will have its greenhouse gas reduction strategy report prepared by September 30, 2009. Adopting a triple bottom line approach now sets a business apart as a leader in consumer’s eyes and results in economic, environmental and social benefits that contribute towards a more sustainable future for all of us. * Sharon Patterson, LEED AP, is Chair of the US Green Building Council Idaho Chapter and a Grow Smart Award winner. Her work has been covered by a range of media including “Professional Remodeler Magazine” and “The Complete Idiot’s Guide to Green Building and Remodeling.” Patterson owns Eco Edge, a sustainability and green building consulting firm in Boise. Read the original publication of this article on NewWest.Net. When was the last time you went through your cosmetics drawer or bag? Has it been six months, a year, maybe longer? Cosmetics can be defined as powder, lotion, lipstick, rouge or any other preparation for beautifying the face, skin, hair, nails, etc. Let's take a look at when is a good time to chuck the old stuff, what is in your make-up and, ultimately, how to dispose of it. Currently, the cosmetics industry is not included in the Toxic Substances Control Act, which gives the EPA the authority to regulate chemicals. Another big hint? If it smells bad, throw it out! Have you ever thought, What is in this tube of mascara? The truth is that you may not want to know (e.g. see "placenta" below). The FDA mandates that all information stated on the label must be accurate, but it does not have the resources or authority under the law for pre-market approval of cosmetic product labeling. It is the manufacturer's and/or distributor's responsibility to ensure that products are labeled properly. Fragrances - While this seems harmless, consider that most popular fragrances are often comprised of chemicals. Try going fragrance-free if you are not using anything that is potentially harmful. Placenta - This ingredient is said to help reduce signs of aging. However, some reports note concerns about the safety of the hormones involved when placentas are used in cosmetics. Kaolin clay - This is a naturally occurring clay that results from the breakdown of aluminous minerals. The EPA rates it as either a 3 or 4 on a scale of 1 to 4 (1 being most toxic), depending on the study. While the ingredient has been used as an additive to pesticides, the toxic risk to humans is considered negligible, according to the EPA. Lead - The FDA does not set limits on contaminants such as lead. 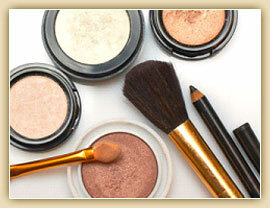 However, they do set specifications against the use of color additives in cosmetics. Lead falls under this stipulation. In order to be certain that the product you are using doesn't contain a toxic chemical, read up on the ingredients or try the U.S. Department of Health & Human Services Household Products Database, where you can search for your product under the Personal Care section. If the color name on the ingredients label contains an F, D or C, then these color batches were approved by the FDA prior to use. Ingredients are listed in order of concentration (highest to lowest). This is important if you have allergies, as a higher dosage could elicit a reaction, whereas a lower dosage may not, depending upon your sensitivity to the ingredient. Just because the FDA approves an ingredient, doesn't make it 100 percent safe. If you are allergic or if it is derived from coal-tar, you may experience irritation. According to Origins, it has been estimated that approximately 33 percent of all household waste per day is from consumer packaging. The best thing to do with your old cosmetics and their containers is to recycle. Cosmetics containers are commonly in the form of glass or plastic #5. Since some curbside programs do not accept #5 plastic, several companies offer a solution. Here are some companies that will allow you to bring your empty cosmetic packaging (e.g. tubes, bottles, jars, etc.) to their store to drop-off. Sometimes, you may even receive a free gift. Origins - Bring your product into the store, and you could be treated with a free sample of your choice! M.A.C. - If you return six of their containers, you will receive free lipstick. Aveda - The company offers a cap recycling program. This isn't just for cosmetics, but also for other household products with #5 plastic lids. Don't forget to check with your favorite makeup retailer to see if it has drop-off recycling as well. According to FashionIndustryToday.com, it is anticipated that over the next few years, the market for eco-friendly products will grow to roughly $8 billion in U.S. sales alone. So, what can consumers expect in these types of products? Essentially, it's all about using less chemicals and more minerals. However, this can be both good and bad. One of the minerals used in "organic" cosmetics is bismuth oxycholoride, which is a non-toxic by-product of lead. While it is great for reflecting light and thus hiding wrinkles, it can possibly be a cause for skin irritation or breakouts. It is important to remember that just because it's a mineral, doesn't mean it's healthy. There are many unsafe naturally occurring metals and minerals, so be aware of what ingredients may entail. Also, be aware of false advertising. Simply because it says it is organic or a mineral-based make-up doesn't mean it is. Make sure you take the time to read the ingredients label to be sure that misleading claims aren't trying to pull the wool over your eyes. It is anticipated that the current market will only become stronger and the "weaker" false advertising companies will lose their ground. With large retailers such as Walmart and Walgreens jumping on the eco-friendly cosmetic bandwagon, access to affordable and safe products may be just down the street.